Workflow is basically a set of rules or an algorithm to automate certain business processes in organization. With the help of workflow enterprises can properly allocate tasks among the workers and synchronize data between systems. An efficient and correctly configured workflow will increase organization’s productivity and process transparency, make the production system more responsive and reactive. 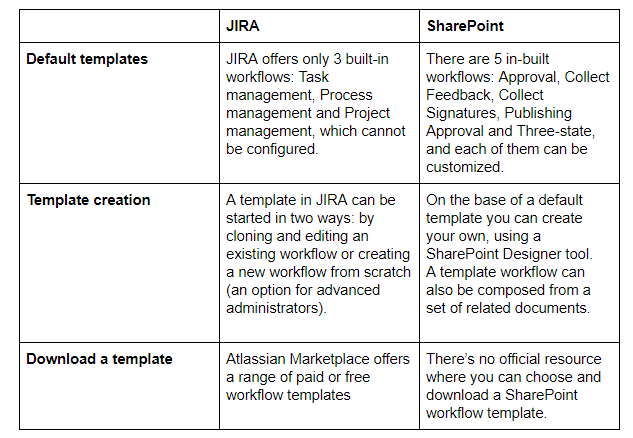 The market offers a fair share of workflow management solutions, yet the leading positions hold JIRA by Atlassian and SharePoint by Microsoft Office. At the first sight, they are similar, but Polontech team decided to sort it out – where’s the difference between them and who’s the best. First of all, JIRA workflows can be either active or inactive. 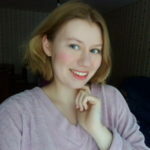 An active workflow means that it’s currently being implemented for one or more projects, while an inactive one defines a currently unused one. An inactive workflow is activated when you associate it with a workflow scheme. 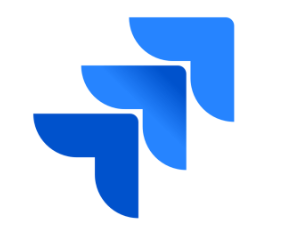 There are two basic notions in JIRA workflows – statuses and transitions. They indicate the progress of an issue through its lifecycle. The difference between them is quite obvious – status is a specific point in the workflow, while transition is the state in between two statuses. SharePoint, on the other hand, doesn’t have a terminology on the lifecycle process, yet there are a number of built-in workflows with pre-set titles. They are the following: Approval, Collect Feedback, Collect Signatures, Publishing Approval and Three-state. A user can customize each of them to suit individual needs of his enterprise in many ways, yet the basic functionality more than enough. 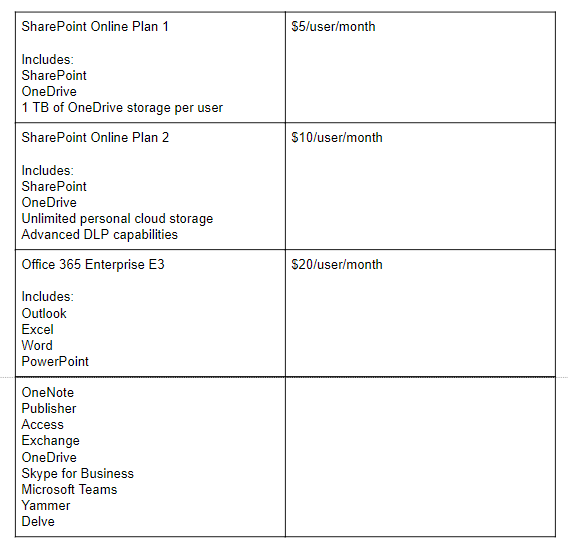 SharePoint pricing is different from the conventional “the more users, the less the price is” model. Purchasing one or another plan, you purchase the functionality and the access to a certain number of apps. Case study: DHI Group had a hard time expanding. Over the years they’ve moved to Atlassian ecosystem, but it was the shift to JIRA for workflow management that made significant difference to their performance. They developed, configured and implemented a solid sophisticated workflow that provided for every process and emergence. This migration nurtured a culture of openness and enhanced a healthy and natural collaboration in teams. Moreover, the smart pricing plan allowed to significantly save on licensing costs. Case study: The company used to work with another tool, but in 2014 the CEOs decided they didn’t meet the security standards, so they decided to implement Atlassian infrastructure. Teams worked slowly but steadily to create JIRA workflows that would fit them like a glove, and when they finished, the improvement was obvious. Now GHE has functional workflows for issue and problem management, tracking release activity and managing release lifecycle. As a result, the development process became quicker and more efficient. Case study: With more than 27.000 employees, the company needed a strict and failproof workflow solution, so they switched their workflow management to SharePoint. “Our operational teams take advantage of SharePoint to aggregate information into one view instead of having to access multiple systems. 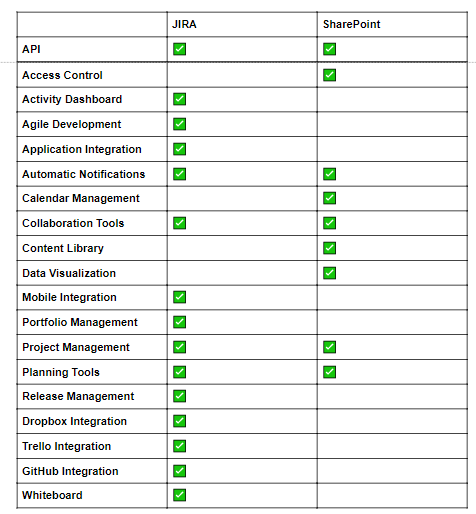 We are also seeing an increase in automation projects that take advantage of SharePoint workflows. We’re in the process of automating our paper-driven forms processes and making them web and mobile-enabled.” – says Allen Chang, Manager of IT Innovation and Technology at Air Canada. Case study: Booz Allen Hamilton consulting wanted to keep up with changing times and technologies. Therefore, they decided to implement SharePoint to establish a flexible and at the same time reliable workflow. “We have to address the workplace preferences of different generations of employees who expect to be mobile, connected, and productive anytime, anywhere, on any number of devices,” explained Deborah Youmans, Senior Manager of Collaboration Development at Booz Allen. And Microsoft SharePoint, as well as the whole Microsoft 365 infrastructure, lived up to their expectations, greatly improving company’s working experience. As you can see, using JIRA by Atlassian offers more space to creativity and configuration precisely to your needs. Moreover, the possibility to download already developed workflow templates saves time and effort for all the team. 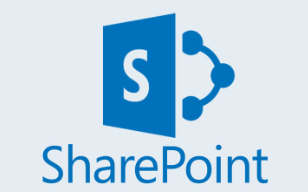 On the other hand, if you’re content with the preset templates and need solely the functionality they offer, then SharePoint is a better value for money. This is where each company has to decide for itself.